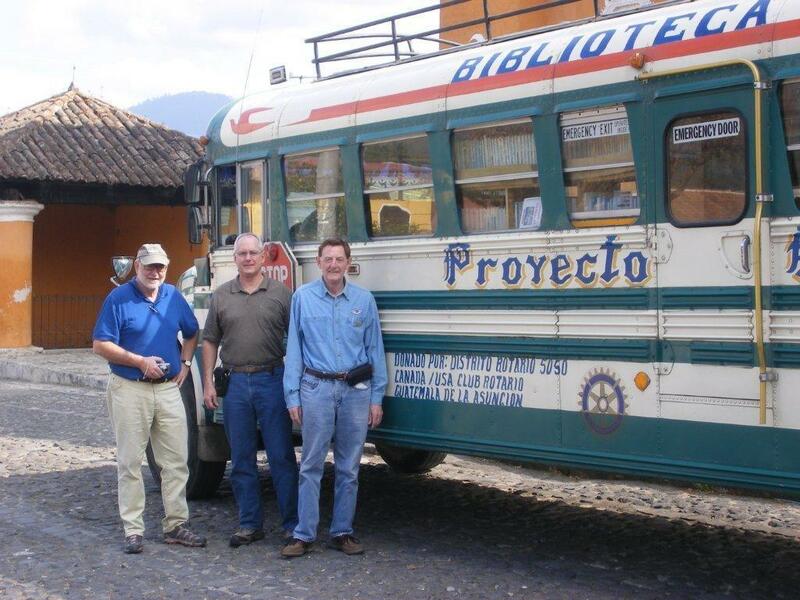 In February 2012 Tom Pyne led our club’s first Vision Team to Guatemala. The Vision Team model is an all-inclusive package and comes with a requirement that a team raise $4,000. Since February 2012 three additional teams have taken the trip to Guatemala in February 2013, 2014, 2015. Teams 5 and 6 will travel in February 2016. Its mission is to promote HOPE and opportunity in Guatemala, partnering with children, families, and communities who want to participate in a process of development to improve their lives through education, health care, social services support and housing. While education is at the heart of its work, Common Hope believes in taking a holistic, comprehensive approach in order for children, families, and communities to be truly successful. This comprehensive support is necessary to achieve long-term, sustainable outcomes. Gwen and Ken Condon got to see, first-hand in their short visit, the work being done by Common Hop’s staff and volunteers in the Partnership schools. They were impressed. They decided to sponsor a student. As of December 2015, over 3,100 children attend school with Common Hope’s help and its programs serve over 11,000 people. The Common Hope staff includes 7 long-term volunteers, 140 professional Guatemalans, approximately 15 short-term monthly volunteers, and 12 employees in Saint Paul, Minnesota. It has had a presence in Guatemala since 1986 and is now well known and highly respected. It graduated its first high school student in 1996. Since then over 1,100 have graduated. Now some of those students are pursuing a university degree. This speaks to sustainable outcomes and the way to lift people out of poverty. The organization has maintained a three-year average of spending 83% of its funds on programs. It enjoys a four star rating from Charity Navigator. Since February 2012 our club’s International Service outreach to Guatemala has led to sponsorships of 28 students. Sponsors have included both Rotarians, their friends and two clubs including our own Elmbrook Rotary Club and the Port Washington-Saukville Rotary Club. We are pleased to report that Gwen and Ken Condon have undertaken to become the sponsors of our 29th student. One more to go to reach 30! In February 2012 we received from Common Hope a box of packets containing the Profiles of 30 students. It became an informal, unspoken goal to secure 30 sponsorships. Erik Moeser championed this initiative. He deserves all of the credit for managing the sponsorship challenge. As of December 2015, over 3,100 children attend school with Common Hope’s help and its programs serve over 11,000 people. The Common Hope staff includes 7 long-term volunteers, 140 professional Guatemalans, approximately 15 short-term monthly volunteers, and 12 employees in Saint Paul, Minnesota. HOW ABOUT VISITING GUATEMALA IN NOVEMBER 2016 OR FEBRUARY 2017? Common Hope Inc. is based in Antigua, Guatemala. Antigua is a World Heritage designated site, a very beautiful spot, with wonderful weather and a great place to be from November to February — if you happen to live in Wisconsin. One returns home with much more than a tan and nice memories. We are NOW assembling members for our Elmbrook 2017 Vision Team. Interested in going? Contact Tom Pyne at tomp4477@wi.rr.com or Erik Moeser at emmcsm77@wi.rr.com for details.